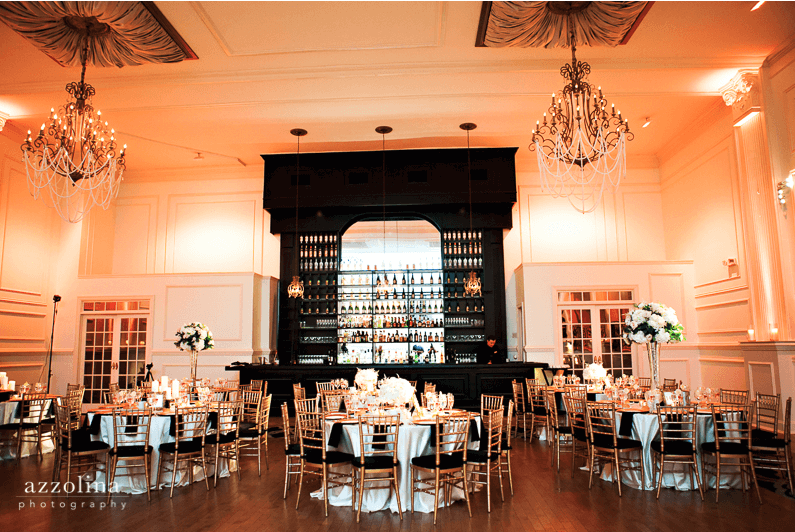 Cescaphe Ballroom offers a traditional ballroom affair with an Old World style. The first of Cescaphe’s venues, Joe Volpe transformed the once renowned Imperial Movie Theater into the acclaimed venue it is today. 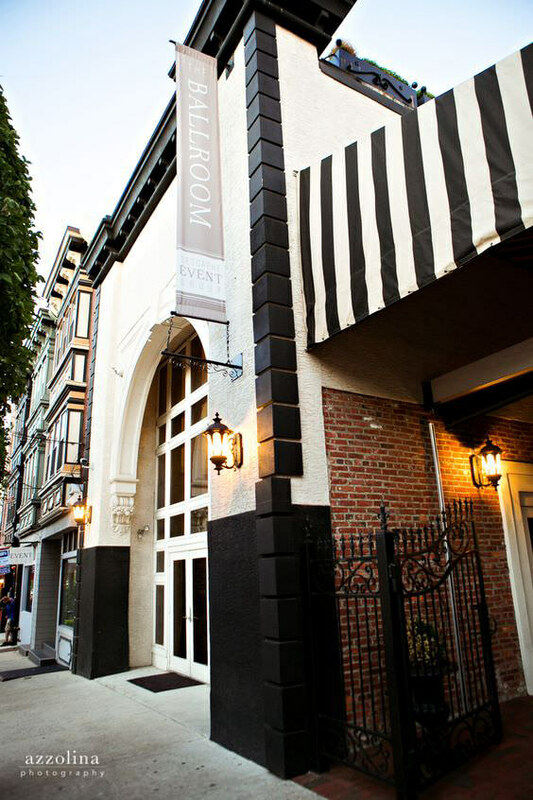 Its Northern Liberties location is just steps from some of Philadelphia’s most popular restaurants and entertainment destinations. Cescaphe Ballroom exudes luxury with its vaulted cathedral ceilings, crystal accented chandeliers draped in pearls, antiqued brass hardware, hardwood flooring and painted columns that add a grand feel to the space. With two adjoining cocktail spaces, guests can float between the graciously appointed lounge indoors and an outdoor garden courtyard complete with chef attended action grill before being awed by the main ballroom, with its floor to ceiling bar and duel green rooms overlooking the room high above the dancing and candlelight. Cescaphe Ballroom affairs bring traditional opulence that exceeds all expectations.